More important than the hardware changes is iPhone 6 will be upgrade to Apple’s iOS 8, the biggest update to the company’s mobile operating system since the introduction of the App Store back in 2008. With latest update, iOS 8 promise to turn the new iPhone 6 into health data centre, remote control for home appliances, and even mobile wallet for making purchases on the road. 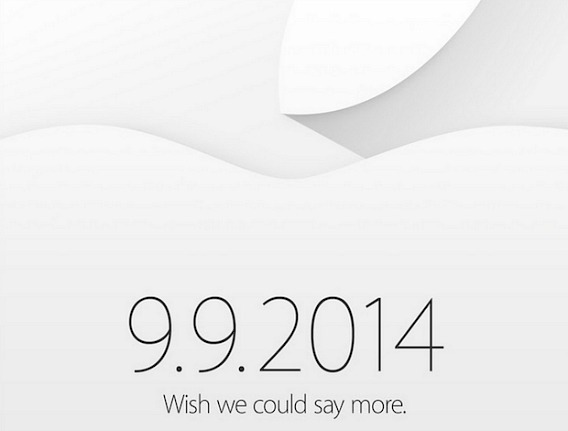 Most of avid Apple fans and enthusiasts can watch Apple live stream event here. As previous live stream, Apple is limiting its video stream to users running Safari web browser (version 5.1.10 or later) on Mac OS X (10.6.8 or later) or iOS (6.0 or later) and those with a third-generation Apple TV (running software 6.2 or later). But if you don’t have a supported browser or device, here are the details and best ways to watch Apple live stream event. Starting time: San Francisco: 10AM / New York: 1PM / London: 6PM / Berlin 7PM / Moscow: 9PM / Beijing: 1AM (Sept. 10) / Tokyo: 2AM (Sept. 10) / Sydney 3AM (Sept. 10). Live blog: Tune in to The Verge, Gizmodo, CNET live blog for up-to-the-second updates, commentary, and pictures directly from the venue. Live streaming: Apple’s live stream is available via a dedicated channel on the Apple TV set-top box (5.0.2 or later), Safari browser on OS X (10.6.8 and above), or Safari on iOS 6.0 or later.